Some of the most beautiful man made places around the world are those that have been left unkept. Buildings and works of architecture which were once magnificent and awe inspiring have been left alone to crumble and decay after humans moved on for any number of reasons. 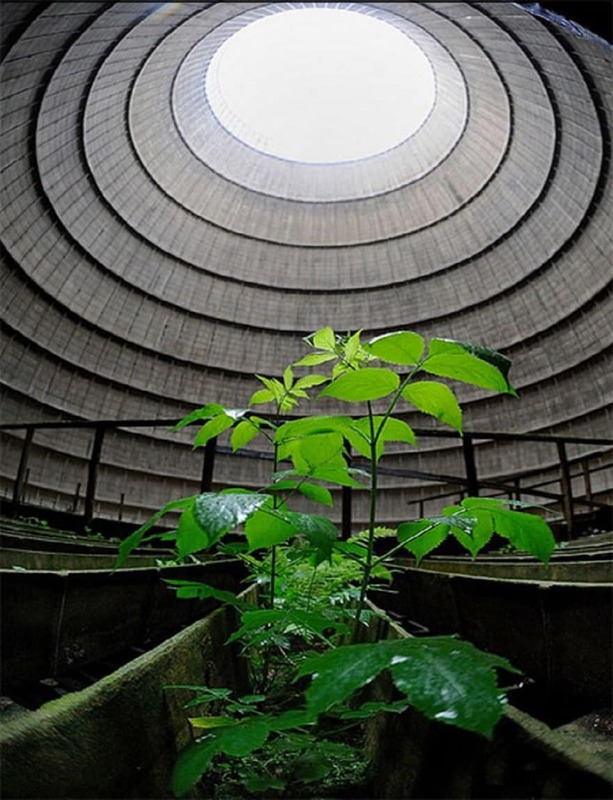 However, these deserted places have taken on a new form of beauty as nature reclaims them. 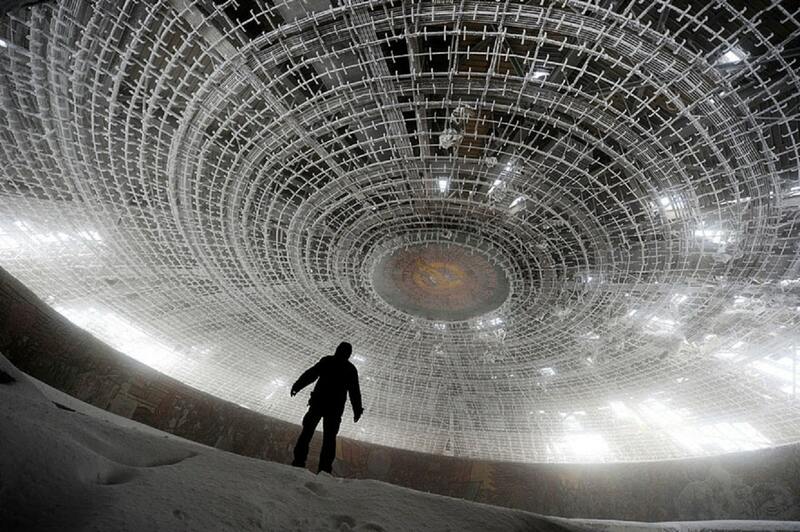 After the fall of the Iron Curtain in 1989, the House of the Bulgarian Communist Party was abandoned atop Mount Buzludzha. The architecture speaks to the communist age in which it was built. 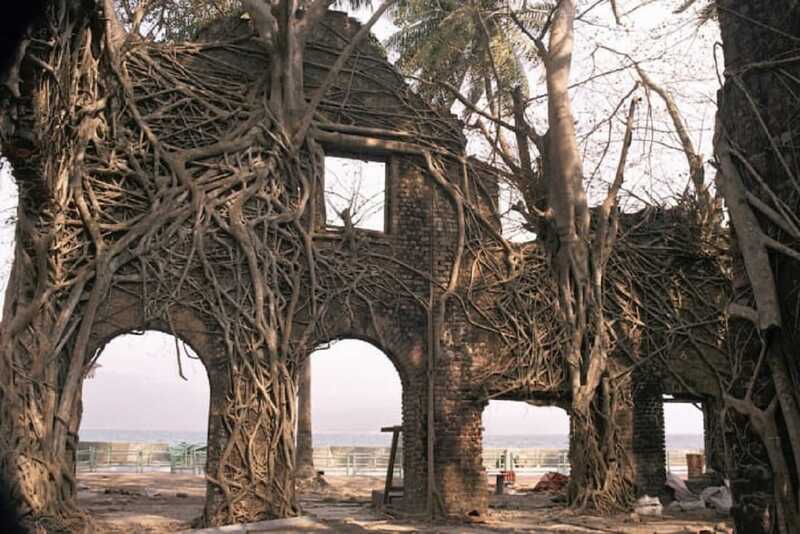 Now, it sits as a skeleton that has been ravaged by looters who have left the building littered, pulled apart and exposed to the harsh elements. 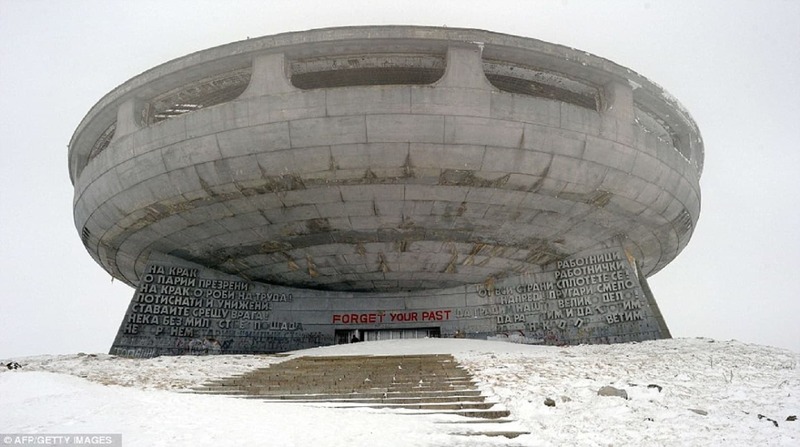 While many would like to see it restored to its’ original state, the Bulgarian government does not have the money to fork into the restoration. Lay your eyes upon the SS Ayrfield, a 102-year-old decommissioned transport ship which was used to move supplies across the Atlantic to American troops during WW11. 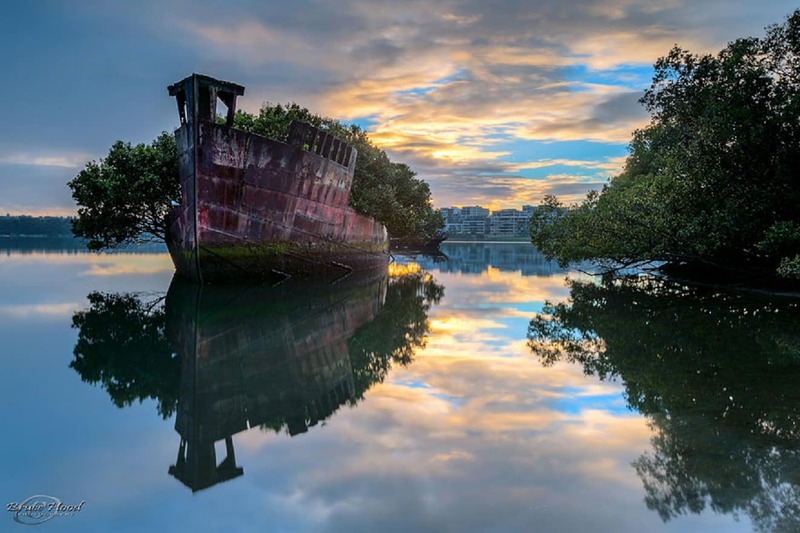 It came to its’ final resting place in a ship graveyard near Sydney, Australia known as Homebush Bay. The difference between this ship and all the others laid to rest here is that the SS Ayrfield is the only one with inhabitants. Now, there may not be any humans occupying the ship, but the local mangroves certainly have settled in nicely claiming the rusty hull as their new home. This next location is definitely not as tranquil looking as the SS Ayrfield, but you HAVE TO SEE IT! It can even be described as bone-chilling. Power Plant I.M. was built in 1921 and served as Belgium’s largest coal burning power plant. 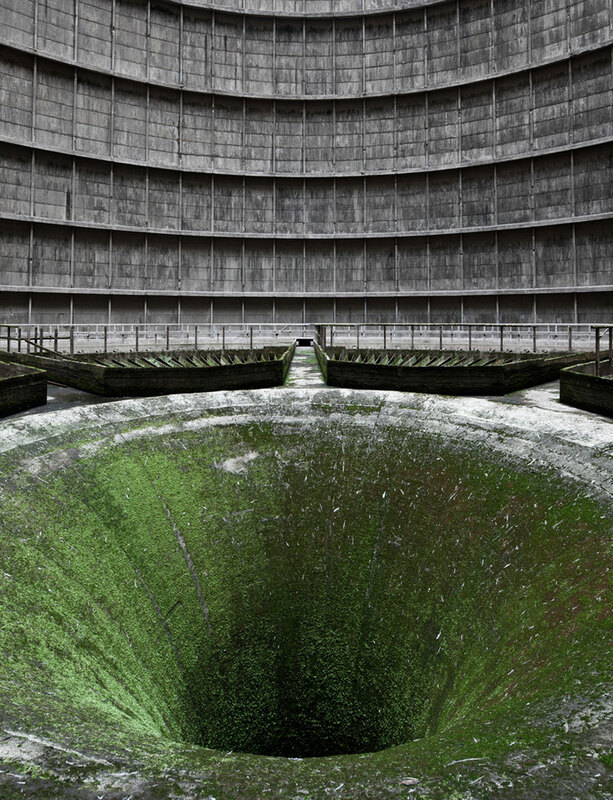 The massive cooling tower shown here served all of Charleroi and was said to have cooled down nearly 480,000 gallons of water every minute! However, the power plants’ days were numbered. In 2006 Greenpeace protested against the coal burning plant which was contributing to 10% of the CO2 emissions in Belgium and by 2017 Power Plant I.M. was forced to empty it’s cooling tower and close down for good. Now this ominous tower stands only as a landmark of what once was. 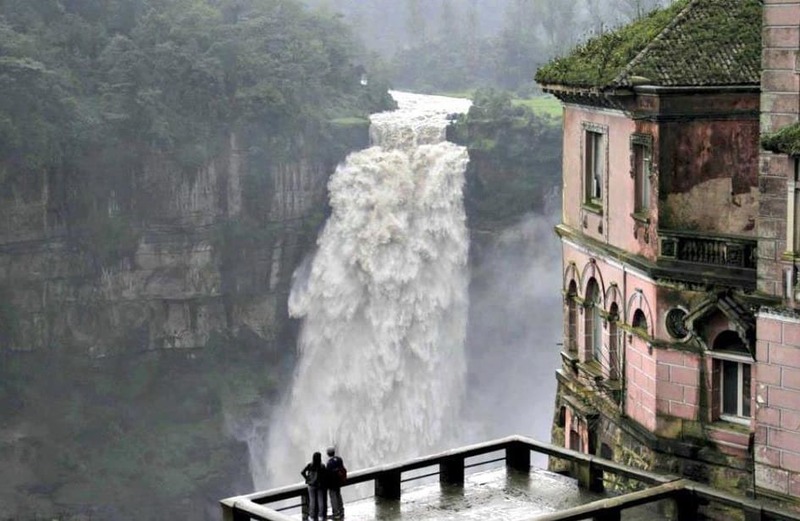 Stay tuned for our favorite – the beautiful Hotel del Salto at #11. It looks like it came right out of a horror movie! 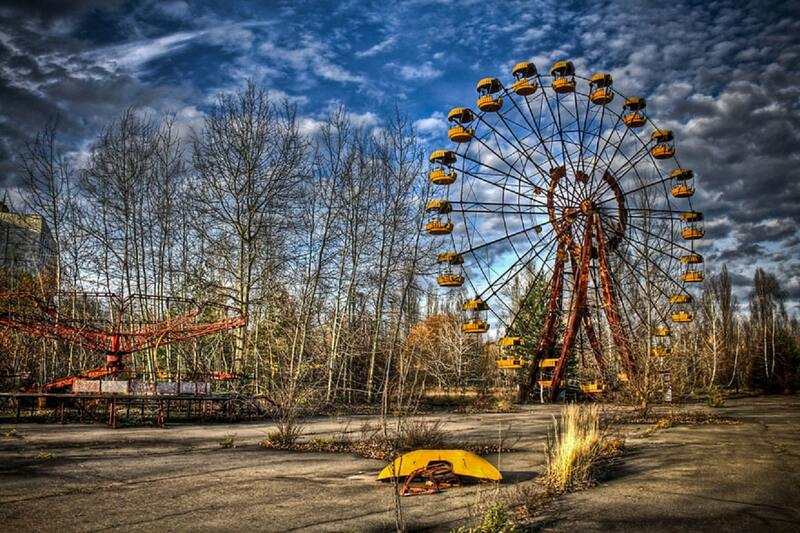 On April 26th, 1986 the Chernobyl nuclear power plant near Pripyat, Ukraine was conducting controlled experiments to see how the plant would handle a potential power failure. During the experiments the operators shut down several safety systems including the turbine cooling system. Even though this was extremely risky, the operators continued with the experiment. Without the cooling effect of the turbines, the water in the towers began to boil which began to create a poisonous environment in the plant and ultimately led to the explosion sending radioactive debris and smoke into the atmosphere. Thirty-six hours after the explosion, a mass evacuation took place where 50,000+ residents of Pripyat were forced from their homes. 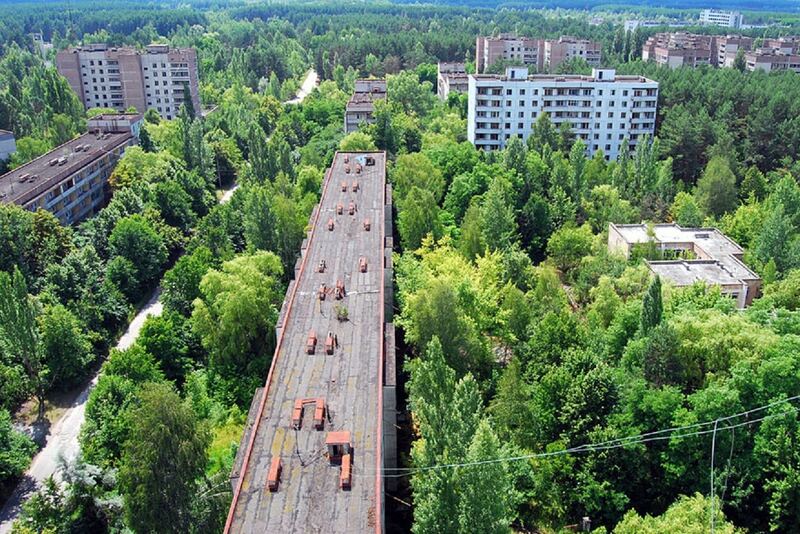 The City of Pripyat is still uninhabitable to this day and will be unfit for residency for decades to come due to the extreme nuclear radiation levels. 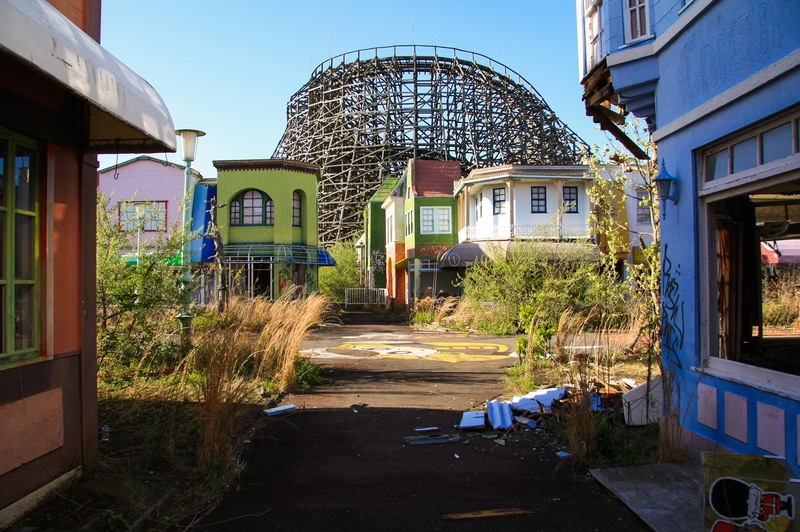 While the city’s landscape now looks like a post-apocalyptic ghost-town, nature has been allowed the opportunity to flourish much like in this next location where the greenery has begun to wrap itself around the roller-coasters in the abandoned Nara theme park in Japan! 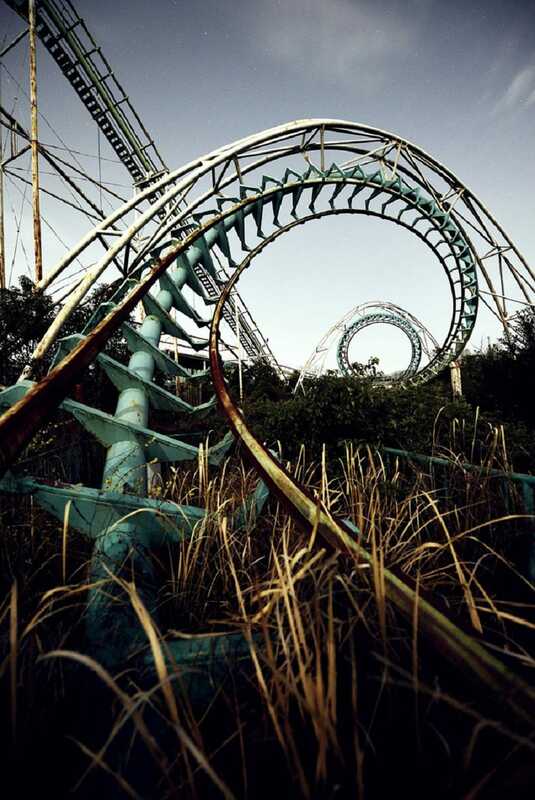 Nara Dreamland in Japan used to be a thriving Disney-like theme park where people would go for fun and play. These days however, the Dreamland appears to be more of a wasteland. Vegetation now consumes the rides and small theme town which was once overrun by tourists. For 45 years, business for Nara Dreamland was booming until the dream came to an end and the tourists were simply not interested anymore. With the sharp decline in visitors, the park was not profiting enough to remain open, so the gates to the park closed. 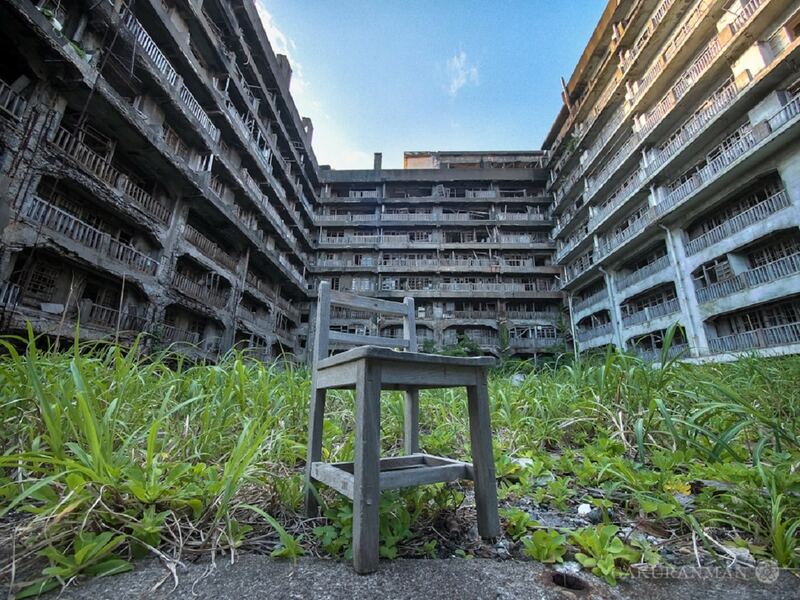 Approximately 9 miles off the coast of Nagasaki, Japan sits the lonely island of Hashima. 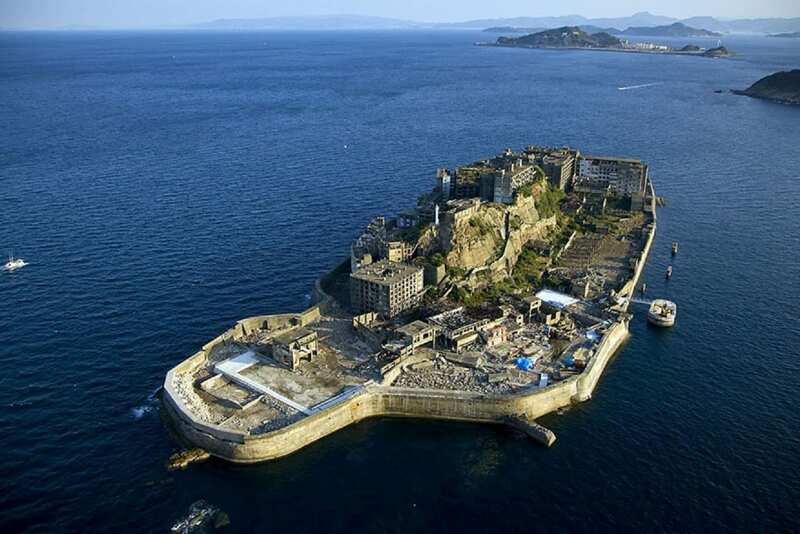 The island was given the nickname “Battleship Island” due to it’s war ship-like appearance. It was a densely populated island in the 1980’s and 1990’s with over 5200 inhabitants who found work there in the undersea coal mining economy. However, when Japan switched from coal to petroleum, inhabitants gradually began to flock back to the mainland to find other work. Tourists still travel to the island to take in the eerie views of whatever has been spared by the countless typhoons that have weakened the infrastructure. Hotel del Salto began welcoming guests in 1928 who came from all over the world to view the wondrous site of the Tequendema Falls. At a height of over 430 feet the Bogota River spills into the lush valley below surrounded by green forest. The views are phenomenal which makes you wonder why business slowed at the hotel in the 1990’s. There is plenty of hiking to do through the forested terrain and lots of breath-taking sightseeing. 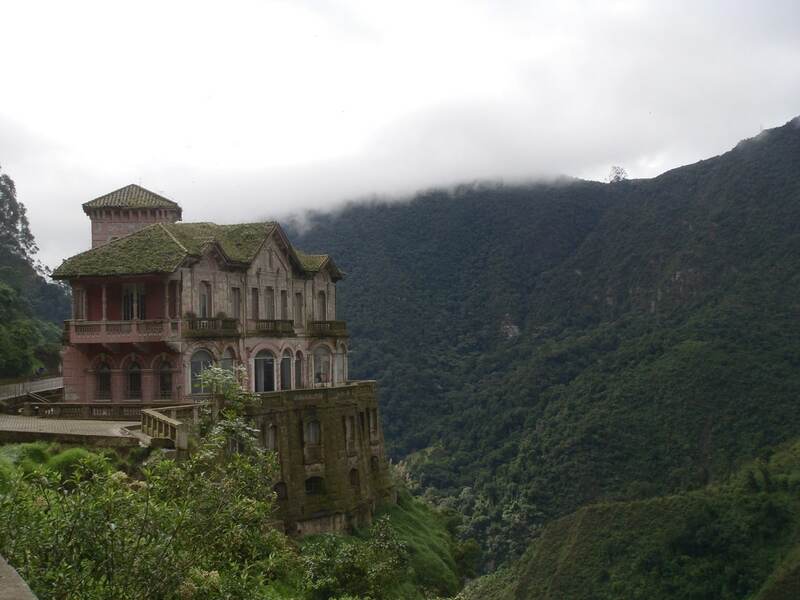 It makes you wonder if maybe the tourists were being scared away by something in the hotel… If spooky hotels pique your interest, you can actually visit Hotel del Salto since it was converted to a museum in 2012. 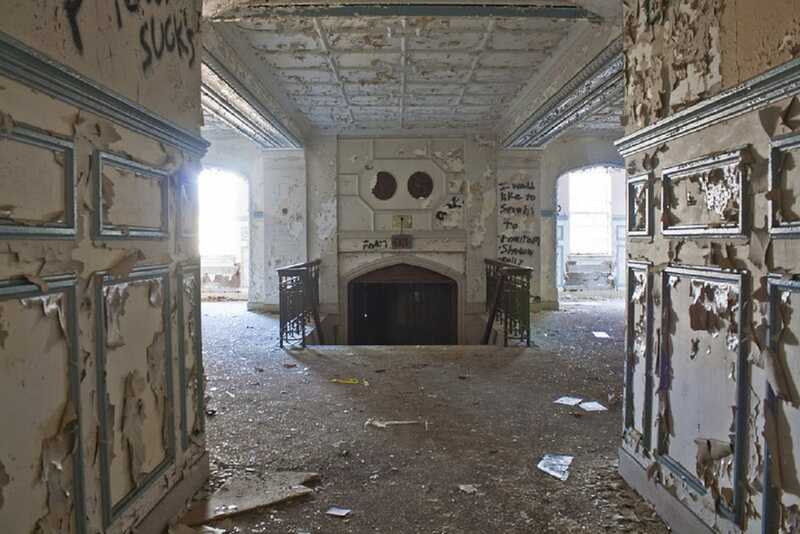 Along with spooky haunted hotels, old abandoned hospitals may be on your list of abandoned places to visit. If so, you’re going to want to check this next one out! We even have an abandoned psych ward coming in at #5! 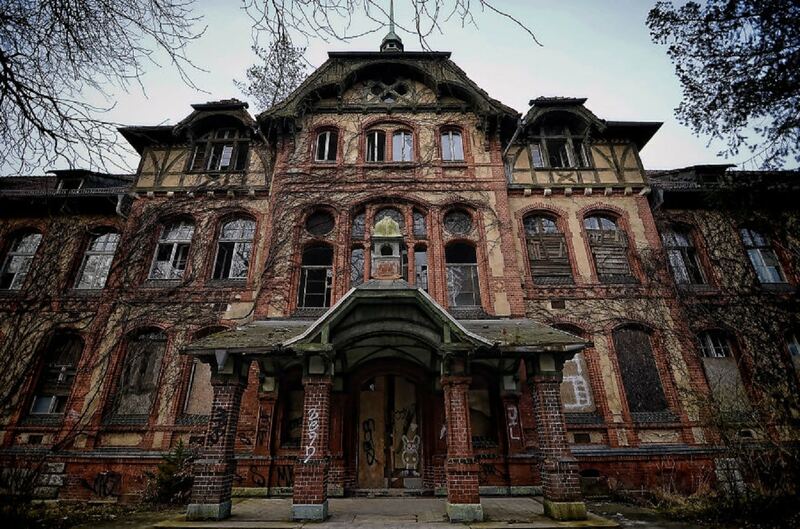 The Beelitz-Heilstätten, otherwise known as the Beelitz Military Hospital, was originally constructed in the late 19th Century to care for the growing number of tuberculosis patients growing in Berlin. Later on, the hospital was converted into a military hospital for wounded German soldiers battling in WW1. 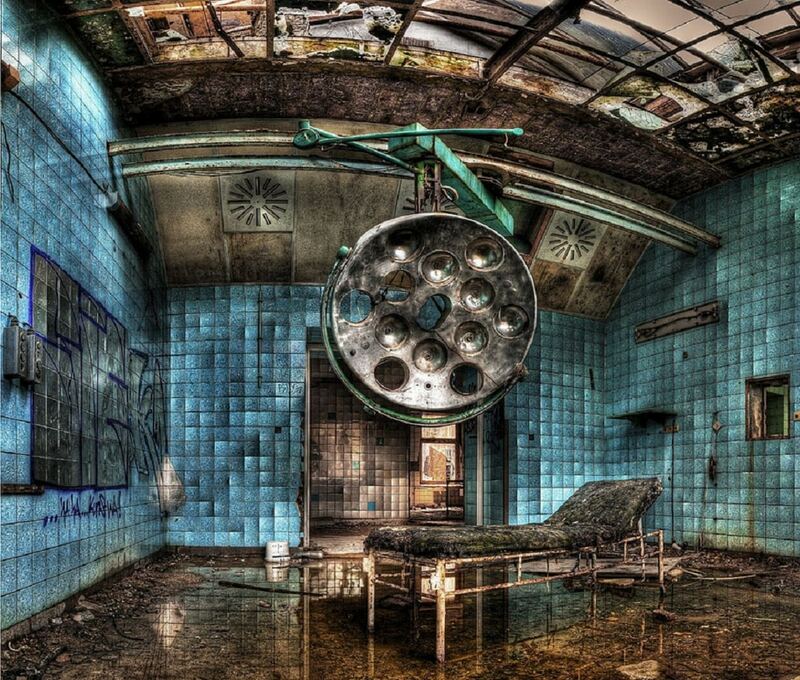 After the fall of East Germany, the hospital consisting of 60 treatment buildings was abandoned. 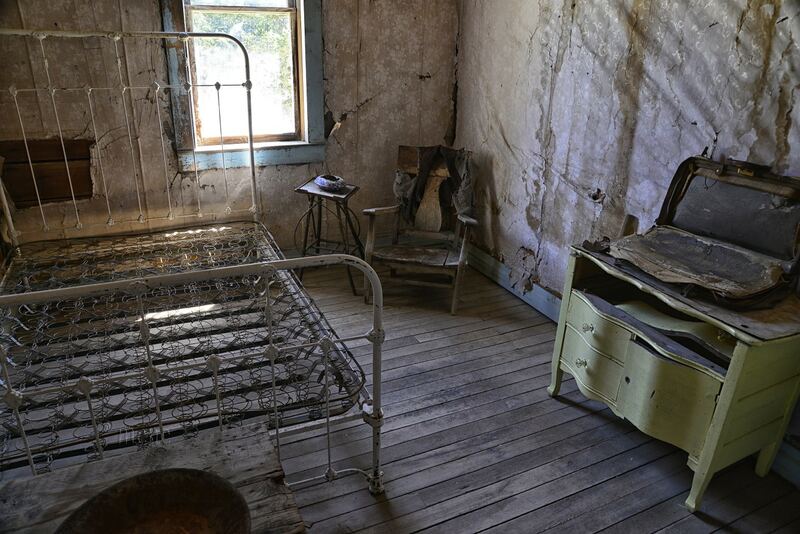 Operating tables and tools are still lying scattered all over the buildings after war left the hospital in disarray. The only visitors stopping by the hospital these days are vandals and looters, but can you believe that PIRATES have actually taken over this next abandoned place?! 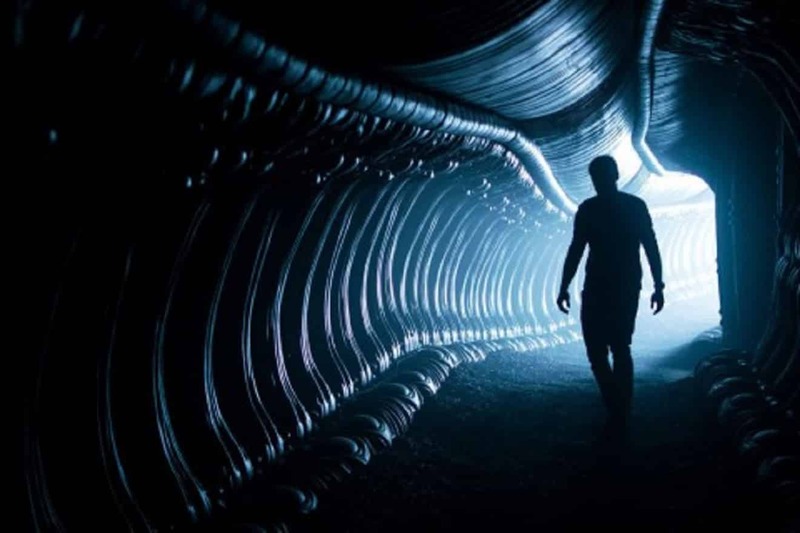 If you’re a fan of the Alien movies, jump to #6! This place looks like it’s straight out of the imagination of Ridley Scott!!! Arsenalna is one of the worlds deepest subway stations located at a depth of 346 feet from ground level in Kiev, Ukraine. Now partially flooded and considered too dangerous for operation in the Kiev metro system, the Arsenalna is off limits to travelers. 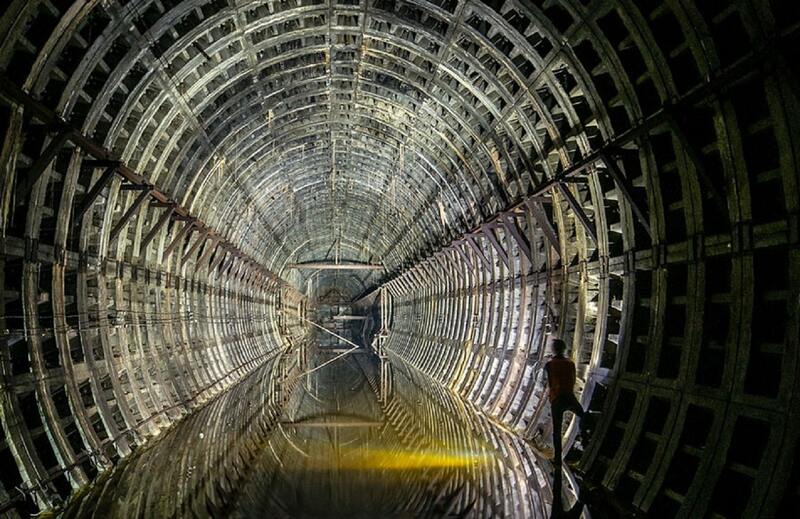 If you want to see another abandoned tunnel system, just wait until you see #6! This state of the art Olympic luge track was completed in 1982 and consisted of over 4000 feet of concrete track for athletes to navigate. 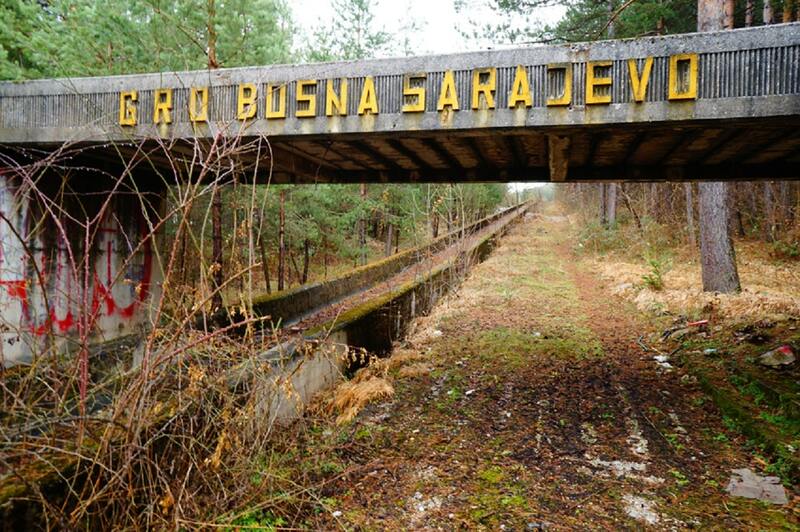 Unfortunately, in 1991 the track became riddled with bullet holes when the Yugoslav Wars broke out. Soldiers used the track as a bunker of sorts and hid out in the turns and bends waiting for the enemy to approach. 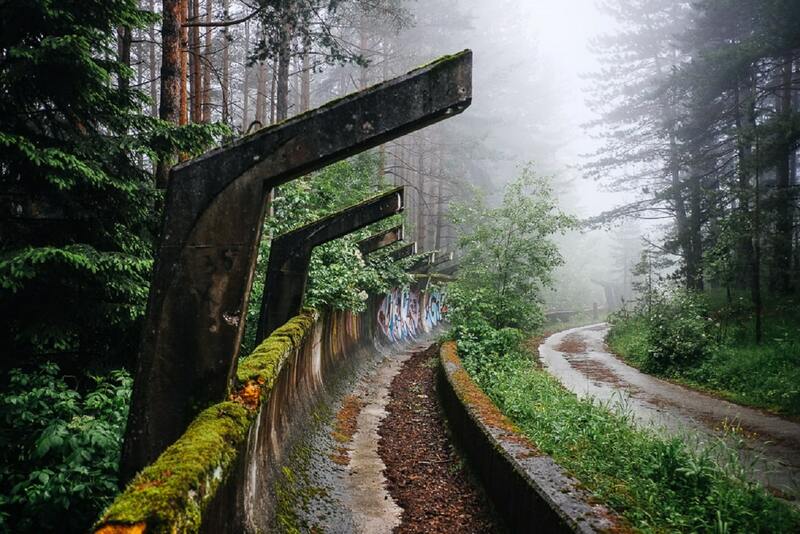 In recent days, the Sarajevo track has been known to still attracts visitors that partake in the graffiti arts and extreme mountain biking sports. The curves and bends in the track offer quite a thrilling experience on two wheels! An Alien Movie Scene! See a resemblance?? 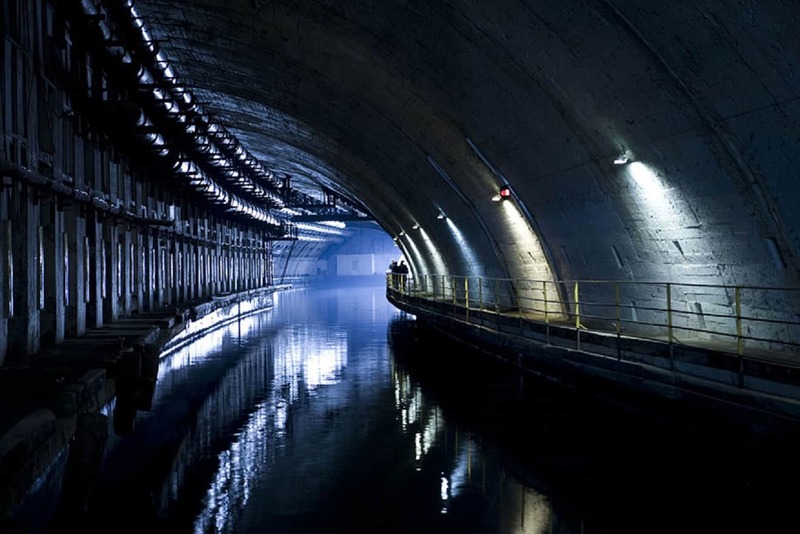 Well, the abandoned submarine base in Balaklava, Ukraine may not have served as a venue for the filming on any Ridley Scott movies, but it sure does look like a scene taken straight out of the Alien movie franchise! Until 1993, when the site was decommissioned, the Balaklava submarine base was one of the Soviet Unions most top-secret locations. Currently, it is in use… and no, it’s not being used for any top-secret activities or alien movie filming, but is serving as a naval museum. As promised earlier, we said we would show you a famous U.S. pysch ward and we’re about to deliver! Don’t miss this next abandoned place! If you’re a fan of American Horror Story, this looks like something straight out of A.H.S. Asylum. Wander around the halls and rooms of this eerie building, but don’t get lost! You could be stuck here with the tortured spirits for eternity. 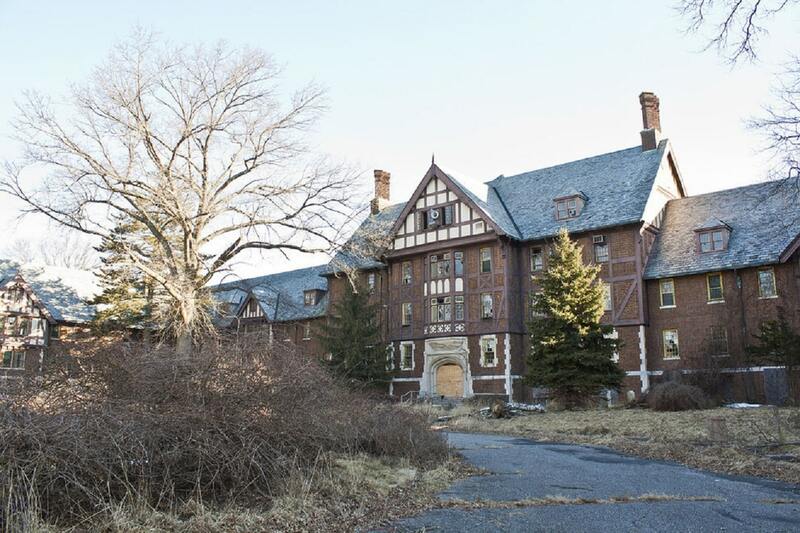 This state run hospital was built in the 1930’s and was in operation for 67 years until an undercover investigation blew the doors wide open on the unethical practices and procedures that were being performed on the mentally disabled patients who were being “treated” at the hospital. The hospital may be empty, however many ghost hunters believe it is still inhabited by the spirits that were trapped there in the hospitals dark times. 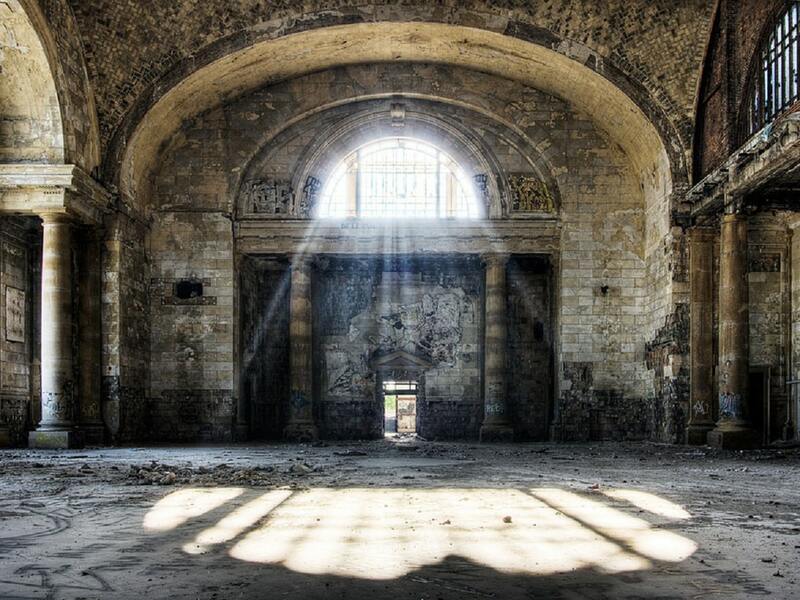 If you’ve ever seen Michigan Central Station in Detroit, you’d think it was haunted by dark spirits too. Check out the amazing architecture of this building coming up next and imagine what it could have looked like in it’s prime! 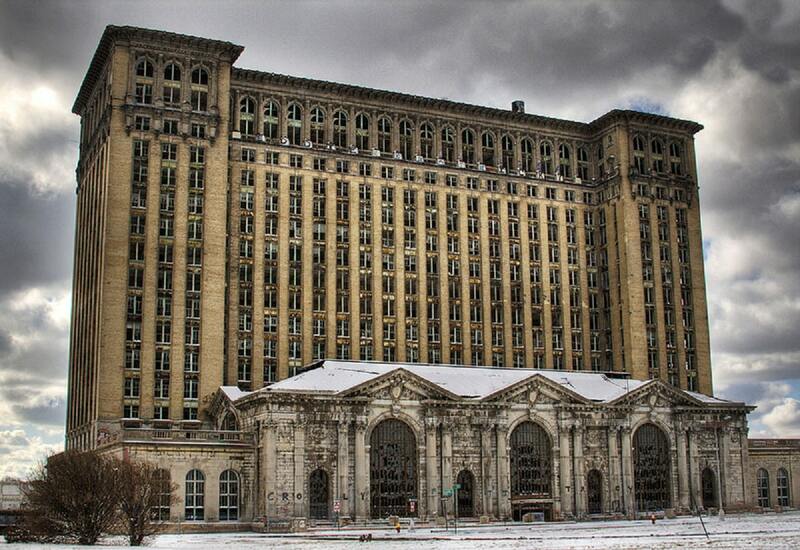 Standing 12 stories tall, the Michigan Central Station served as a massive American transportation hub. Millions of travelers passed through the grandiose train station until the very last train pulled away from the station in 1988. Up until now, the station has sat baron with over 1000 windows smashed out by trespassers. However, aside from vandals, the building has seen visitors from the film industry who used footage from the building for films such as Eminem’s “8 Mile” and various other artists’ music videos. More recently though, mysterious plans seem to be in the works as the building is being brought back to life starting with the replacement of all those blown out windows… It’s good to see the restoration of such an historical building, especially in Michigan. This building in particular saw the rise of industry in Detroit followed by a very dark time after that industry crashed. 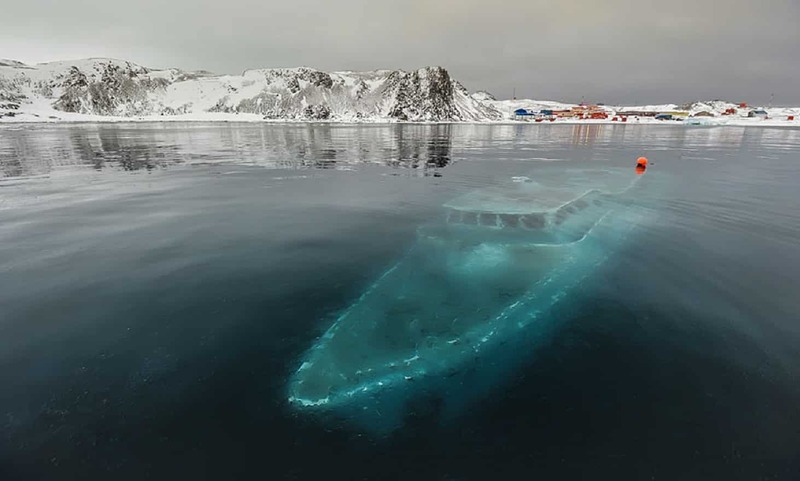 Located in the waters of Ardley Cove, Antarctica this Brazilian yacht named the Mar Sem Fim has a ghostly aura in its watery grave. A crew of Brazilian film-makers took the yacht to Antarctica in hopes of filming a documentary. However, they experienced a bout of bad luck when they sailed into an arctic storm. The crew abandoned ship when the winds became to heavy forcing waves over the boat which eventually froze and cracked the hull, sinking the yacht. If you’re interested in ghost ships, you’ll find this next ghost town interesting. 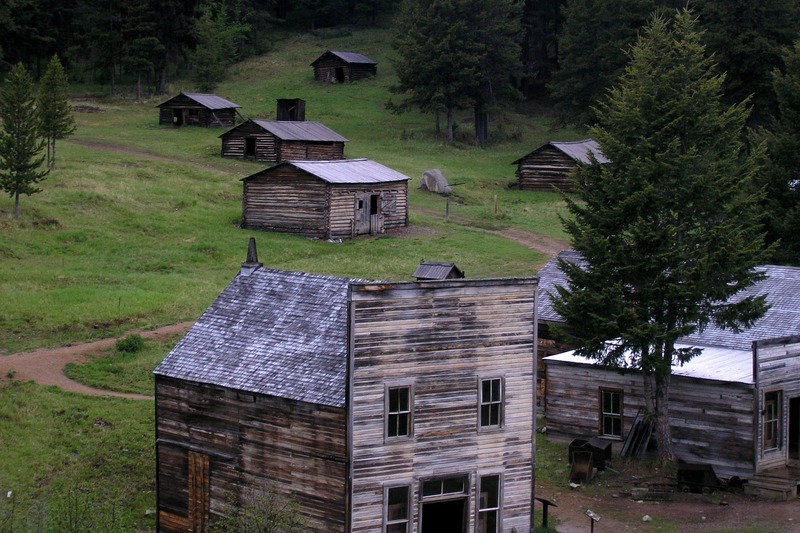 Check out a whole town that was neglected after the great gold rush! The town of Garnet was established by gold miners in the Garnet Mountain Range in the 1800’s. The town was named after the ruby colored gem stone found in the area. As quickly as the town was erected, it was vacated soon after in 1870 when the promise of silver lured miners away from the town. Many of the homes in Garnet weren’t even built on solid foundations. There was no running water, aside from nearby streams and there were no other towns around for miles. In recent times, the state of Montana has released license plates for purchase with the phrase “Explore Ghost Town” on them. The funds generated from these plates will be used towards the revitalization of old ghost towns such as Garnet. 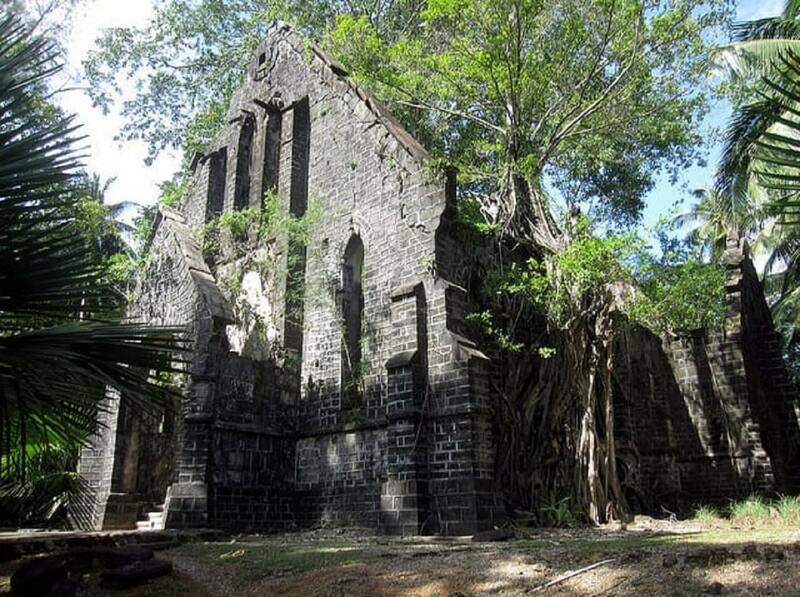 Some places can be preserved, but sometimes nature just won’t allow us humans to intervene. See what happens next when an old homestead battles to stay standing against the forces of nature! 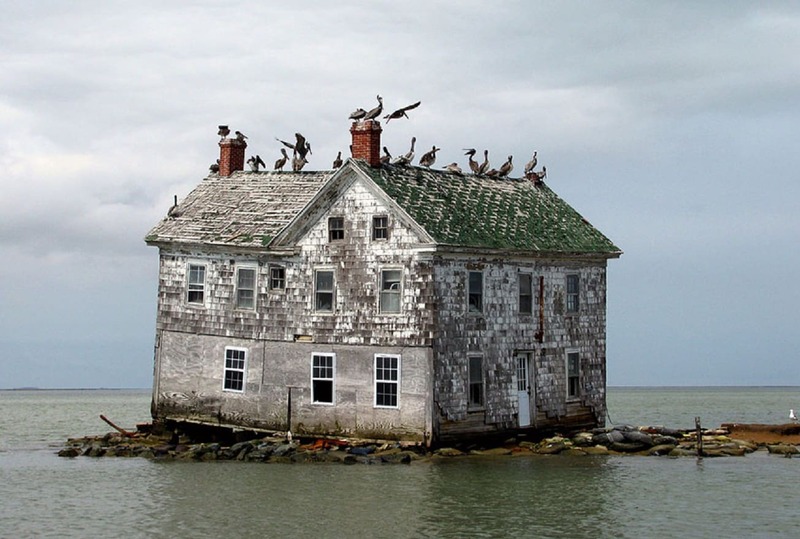 Before the mass erosion of the silty coastline of Holland Island, there were many desirable houses in the Chesapeake Bay area which formed a small island colony. Over time, the water slowly eroded the shoreline threatening the footings of the houses and eventually brought all of them down except one. But nature wasn’t done yet, the very last house standing on Holland Island came down too in 2010. That’s not all! We have some BONUS slides for you. Just wait until you see the abandoned oddities we have lined up for you, from alien-looking pods on the ocean to tree root covered ruins. Aren’t you curious? 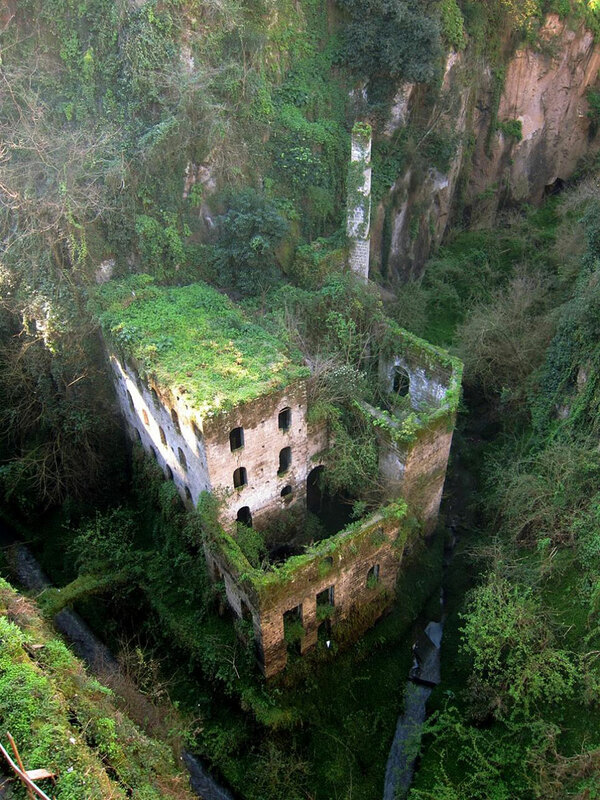 This Italian wheat mill operated in the Valley of the Mills in Sorrento, Italy up until 1866 when the humidity levels in the valley became to great to continue mill operations. The mill was abandoned at that point and nature began to reclaim the ground on which the mill was built. Uninhabited Island Pods – Southwest Florida, U.S.A. If you’re wondering, these odd looking pods were not placed there by aliens, but by oil producer Bob Lee. 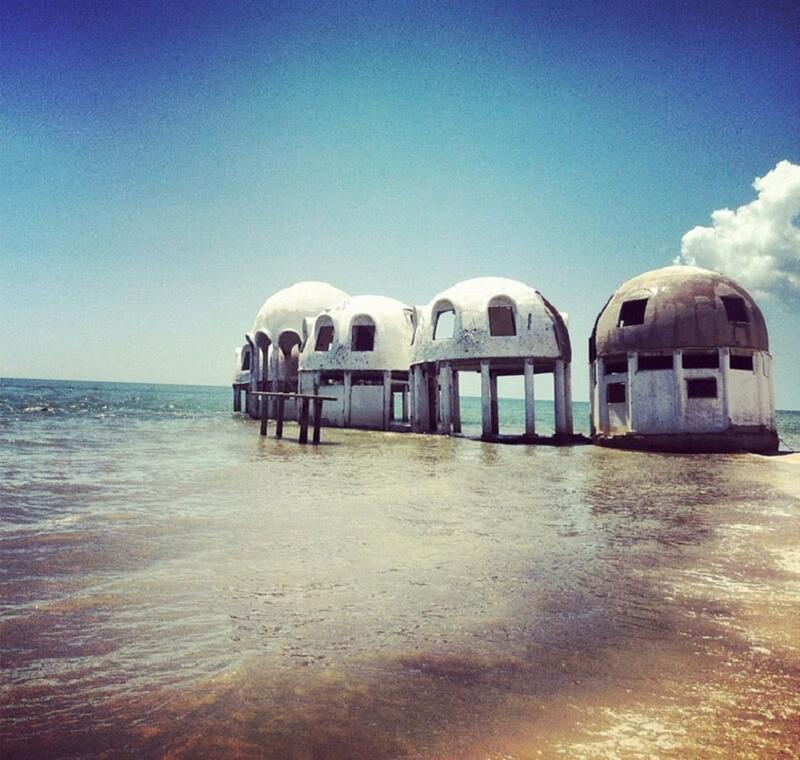 Lee built the structures in 1981 to serve as his summer home off the coast of Florida on Cape Romano. 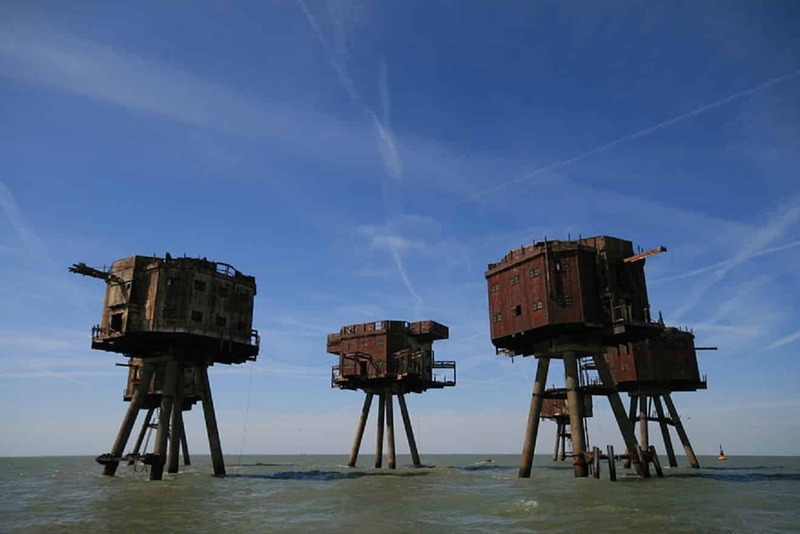 They remained his summer home until the structures endured far too much abuse by the ocean to warrant repair. They stand there to this day in disrepair without any apparent changes or remodeling. These abandoned buildings and places have all endured a common battle with nature and it appears that nature will always win in the end.